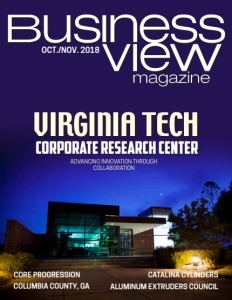 Business View Magazine interviews John M. Ferguson, Airport Manager at the Statesville Regional Airport, as part of our series on regional airports in America. 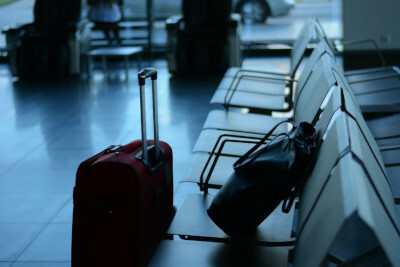 Even a regional airport can find a niche market and thrive because of it. 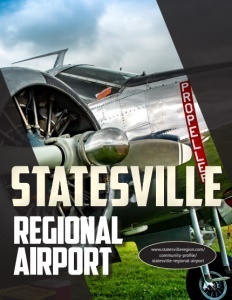 A case in point is the Statesville Regional Airport in North Carolina. “The first person to build a hanger on that taxi way was Dale Earnhardt Sr., the race car driver,” Ferguson continues. “He built a hangar for his aircraft and also started a FAR Part 125 private carrier called Champion Air and he was flying some of the crews for the races. Now they have 3 Embraer 145 ER’s with 50 passengers each that they fly as a private carrier. That was one of the catalysts that started some of the other drivers saying, ‘Hey I could have the same thing.’ So, Dale Earnhardt, Jr. built his hanger next to Sr. and it all began.” Over the years, other drivers such as Ryan Newman, Brad Keselowski, Greg Biffle, Martin Truex, Jr., and others have their aircraft in hangars on the field, which has led to a pretty significant NASCAR contingent. About two years ago, a new Part 125 private carrier was created called Victory Air. It started with two Embraer 145s and they now have 10 with 50 passengers each flying to the races. “Champion and Victory both leave out of here on Thursdays. They also haul teams for Xfinity, for truck and also for the monster races so they can be hauling people from Thursday through Sunday. Sunday night after the race looks almost like Charlotte out here when they all come back around the same time,” laughs Ferguson. In 2004 Lowe’s Home Improvement was looking to move from Wilkesboro, North Carolina to Mooresville, which is about 20 miles south of Statesville. That also meant moving its aviation division. So, the company built a 40,000-square-foot hangar with office space. At the time they had five falcon jets and one Sikorsky helicopter. The City of Statesville owns the Airport and Ferguson is the sole employee. Statesville Parks and Recreation manage the upkeep and mow the grass, while Building and Maintenance oversees some of the buildings. 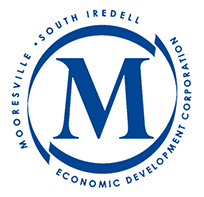 All of this is made possible because of the FBO (Fixed Base Operator), Statesville Flying Service, a private operator using its own employees, which fills out the daily operations. In terms of improvement, Statesville Regional Airport is currently undergoing the construction of a new parallel taxiway on the south side of the runway. There is a full parallel taxiway on the north side and this south side, partial taxiway will mostly serve the NASCAR and Lowe’s hangars. As it stands, in order to access the hangars, it is necessary to cross a live runway. This is a $9.8 million project, which is being fully funded by the North Carolina Department of Transportation. Check out this handpicked feature on the Colorado Springs Airport – Commercial service and more.